Every child deserves to have a bicycle. They should experience the freedom and joy that comes with flying down a road and meeting up with friends to ride together. That’s what the people behind the Old Saybrook-based nonprofit Bikes for Kids have always believed. Established in 1989 by local resident Chuck Graeb, Bikes for Kids was born out of his personal desire to give underprivileged children the luxury he never had. For 20 years, Graeb dedicated his time to acquiring, fixing and donating bikes to kids in need locally and across the state. He was able to donate more than 12,000 bikes in his lifetime. Graeb died in 2009, and that’s when Fowler took over as president of the organization. 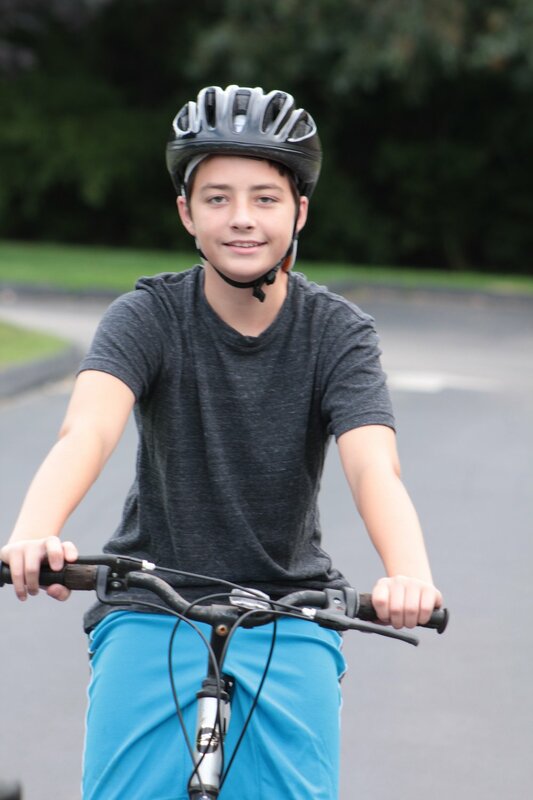 Bikes for Kids is a need-based organization that connects children with bikes through recommendations from the community, schools, churches and state agencies. Over the years, the group has built partnerships with other local organizations to reach the most children possible. Most recently, Fowler has been in conversations with the team behind the CMAK (Chase Michael Anthony Kowalski) Sandy Hook Memorial Foundation to partner on their Race for Chase event. “They’re really turning tragedy into triumph,” says Fowler. Bikes for Kids also donates to children in need across the country. The group provided 140 bicycles to Bell Harbor, Long Island, after Hurricane Sandy, and a similar number of bikes to Haiti after the devastating earthquake in 2010. The vast majority of the bikes the organization hands out are donated from people who have grown out of them, or trade-ins from local bike shops. In some instances, though, new bikes will be purchased for special occasions. Since its founding, the organization has donated approximately 20,000 bicycles. A bicycle seems like a such a simple thing, but Fowler believes it is more than just a toy. “I think it provides a lot of things other than the exercise, and sometimes you’re helping to fight obesity,” he says. “It allows kids to get out and explore areas that would be too far otherwise. There’s a social aspect, and a lot of times, [you’re] keeping kids out of trouble. When they have a chance to ride with others, they’re not thinking about getting into other things.